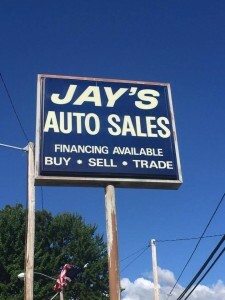 Jay’s Auto Sales was established in 1986 to provide a comfortable and compassionate space in which anyone in financial trouble could obtain a quality pre-owned vehicle and automotive financing with good, bad, and even no credit. Thousands of people have trusted not only this local used car lot’s affordable used trucks, cars, and SUVs, but also their full-service automotive department. They appreciate their clients so much that they invite everyone from Copley to Easton to join them September 15th, 2018, from 11am to 3pm. 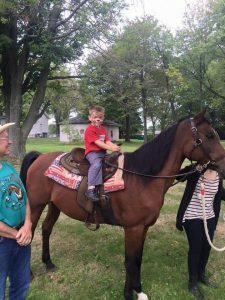 The entire community can join them at their seventh annual Customer Appreciation Day for food and a DJ, along with pony rides and a bouncy house. Stop in with the family for a fun event! Whether a college student in Wadsworth is in search of a new car to ensure that they always have reliable transportation as they start school or a working mom in Sharon Center is on the long road to recovery from a rough financial patch and wants to replace their car before winter, Jay’s Auto Sales can help anyone either establish credit or rebuild their score. Experts agree that rebuilding credit is a long process that includes diligence in paying all bills on time, obtaining a secured credit card, and getting a loan. This Buy Here Pay Here dealer has helped thousands of people remain on the road by being able to offer loans that other institutions may not. Down payment requirements are reasonable, and they offer weekly, bi-weekly, or monthly payments. Their quality pre-owned vehicles all undergo a thorough safety check as if each customer were a family member. Additionally, they stand behind their vehicles with a 30-day, 1,500-mile warranty, and a discount from their full-service automotive department is available for any vehicle that might need repaired after the warranty has expired. Anyone who has been to Jay’s Auto Sales can attest to the compassion and quality that they represent. Buying a car is one of the tasks in life to which many drivers do not look forward; however, anyone from Easton, Ohio, to Sharon Center, Ohio, who relies on Jay’s Auto Sales for an affordable used SUV, car, or truck will find the process smoother than they ever anticipated. This Buy Here Pay Here dealer not only helps students looking for a new car with which to start school to establish their credit, but they also help anyone who needs to replace their car before winter with automotive financing to rebuild the credit score of those who have bad or no credit. 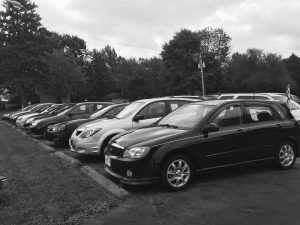 This local used car lot has helped thousands of people obtain quality pre-owned vehicles, finding that they return year after year, even when their credit is great again. 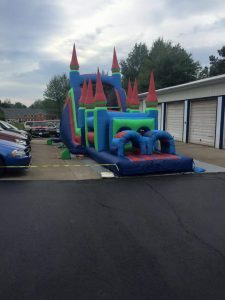 Jay’s Auto Sales not only shows how much they love their customers with every day benefits, such as discounts from their full-service automotive department after the warranty has expired, but they also invite everyone to join them for food and fun at Customer Appreciation Day. Everyone from Wadsworth, Ohio, to Copley, Ohio, can visit today to discover why eight out of 10 clients return after having been satisfied in the past. This entry was posted in Automobile, Sales, Service and tagged affordable used cars Sharon Center Copley Easton Wadsworth Ohio, affordable used SUVs Sharon Center Copley Easton Wadsworth Ohio, affordable used trucks Sharon Center Copley Easton Wadsworth Ohio, automotive financing with bad credit Sharon Center Copley Easton Wadsworth Ohio, automotive financing with no credit Sharon Center Copley Easton Wadsworth Ohio, Buy Here Pay Here dealer Sharon Center Copley Easton Wadsworth Ohio, Customer Appreciation Day Sharon Center Copley Easton Wadsworth Ohio, establish credit Sharon Center Copley Easton Wadsworth Ohio, full-service automotive department Sharon Center Copley Easton Wadsworth Ohio, Jay’s Auto Sales, local used car lot Sharon Center Copley Easton Wadsworth Ohio, new car to start school Sharon Center Copley Easton Wadsworth Ohio, quality pre-owned vehicles Sharon Center Copley Easton Wadsworth Ohio, rebuild credit score Sharon Center Copley Easton Wadsworth Ohio, replace car before winter Sharon Center Copley Easton Wadsworth Ohio by admin. Bookmark the permalink.